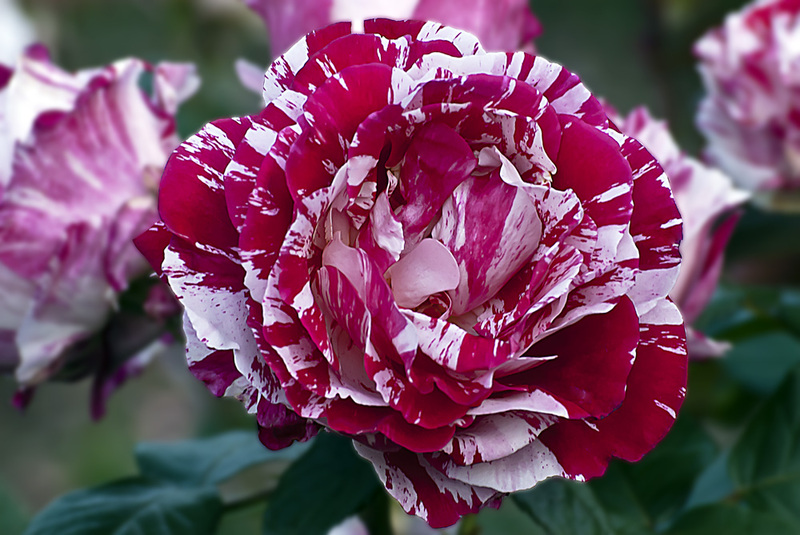 Today I want to present a little Scentimental Rose Splendor in our continue month long feature of the rose flower. Roses are definitely in bloom at this time of year and probably one of the most eye-catching varieties of the rose in the Scentimental Rose. It’s splattering of red and white makes it look like a peppermint candy. But the scent this rose gives off is where this rose is really at. So sweet like nectar. This rose is an all American rose, being the first stripped rose to win the All American Rose Award. It was developed in the US by Tim Caruth and introduced to the world in 1997. Thanks for stopping by, remember sharing is always fun.